Hello Mi Fans! Today, you will be happy to hear that Xiaomi has started rolling out MIUI 10 Global Stable ROM to Redmi 5 Plus. With this rollout, the Redmi 5 Plus becomes the 10th Xiaomi phone to get the taste of MIUI 10 Global Stable Update. 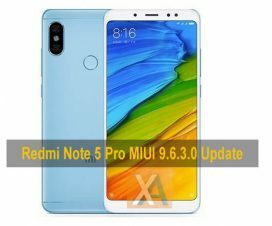 Devices namely the Redmi Note 5 Pro, Mi 6, Mi 8, Mi Mix 2s, Mi Note 2 and more have already received this stable update. 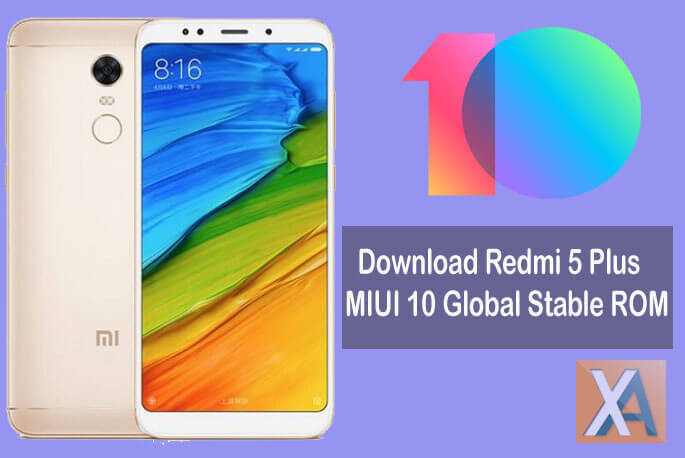 Here we have shared a simple guide to download and install MIUI 10.0.2.0 Global Stable ROM on Redmi 5 Plus. The latest firmware update brings the version MIUI 10.0.2.0.OEGMIFH. It is a stable update which is currently rolling out via over-the-air in a phase wise manner. The Xiaomi Redmi 5 Plus users can manually check the latest firmware update through Updater app or alternatively from the path Settings > About phone > System Updates > Check for update. If available, you need to download the update package and follow the on-screen instructions to complete the installation process. Make sure you have high-speed internet connection say Wi-Fi to download the firmware. 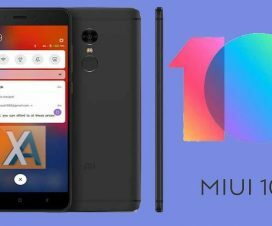 Users on MIUI Beta ROM or any other custom ROM need to flash MIUI 10 Fastboot ROM via Mi Flash tool. The MIUI 10 Global Stable update for Redmi 5 Plus brings all MIUI 10 features, system performance improvements, bug fixes and latest Google’s security patch. Some of the highlights of MIUI 10 Global ROM includes a new Recent Apps Menu, Ai Portraits, Better Control for Mi Ecosystem devices, new nature-inspired notification audio, Autofill support, and more. Without much ado, checkout the below prerequisites and then we will directly take you to the MIUI 10 update procedure. 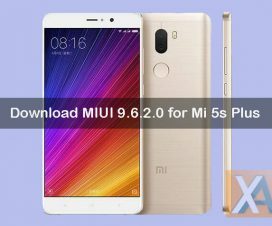 The following ROM can be installed only on Xiaomi Redmi 5 Plus. Don’t try to flash on any other Xiaomi/Android model which may result in a brick. To update Xiaomi Redmi 5 Plus to MIUI 10 Global Stable ROM, download either Recovery ROM or Fastboot ROM from above links and then follow the below guide to flash the ROM on your device. 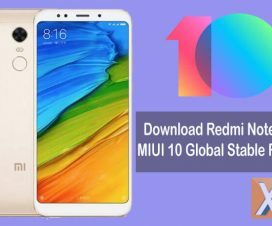 That’s the simple guide to update Xiaomi Redmi 5 Plus to latest MIUI 10 Global Stable ROM. For any queries or issues, feel free to comment below. We will get back to you with most possible outcomes.